Chain vs. Belt vs. Shaft! Two are clean, one is messy, one saps power, and the other is a nightmare to replace. Which would you choose in the chain vs. belt, vs. shaft debate? The final drive on any motorcycle is an essential link that transfers power generated by the engine, through the gearbox to the back wheel. Without it, all you have is some noisy furniture. 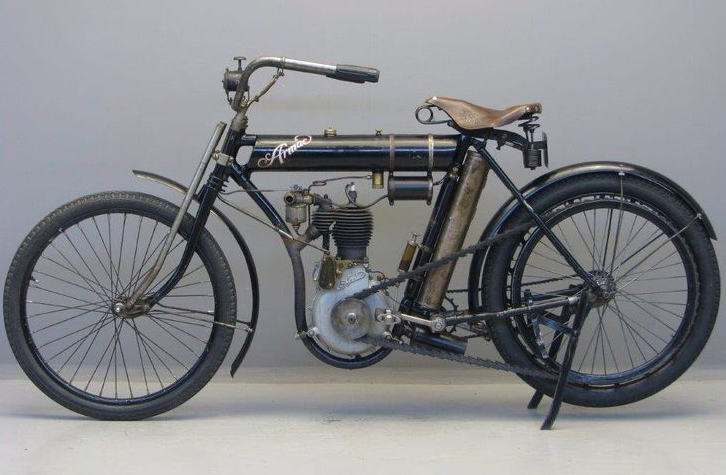 The very first motorcycles didn't have a gearbox, and power takeoff came directly from the crank, turning the rear wheel by a leather belt and pulley. 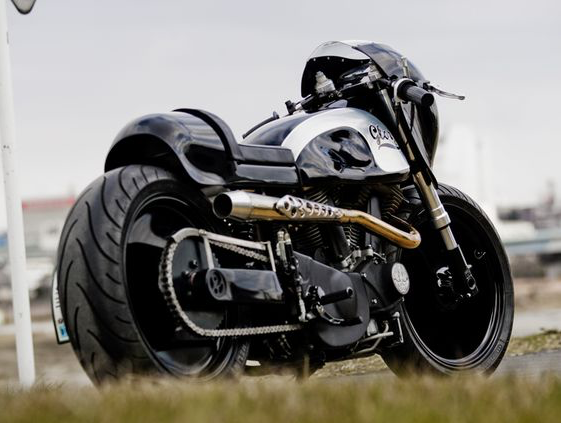 Very soon motorcycles became more powerful, and belt gave way to chain. Today’s manufacturers have a choice of three final drives; chain, belt, and shaft. Each has their specific pros and cons, with opinions and loyalties divided. Chain drive is the daddy of final drive systems and the predominant choice of manufacturers around the world. Why? Because it's tough as old boots, will take all kinds of dreadful abuse and above all, it’s inexpensive. All final drive systems reduce power to some degree in the transfer process but at around 3%, chain robs the back wheel of the least amount. Race and high-performance street bikes use chain for this reason. You will also notice that all off road competition bikes use roller chain too. Over the comparatively short period of a race, its performance doesn’t deteriorate to the point of mechanical failure when it gets covered in dirt. Due to the strength per size ratio of its design, chain can also remain comparatively narrow while still giving excellent performance. Why, if chain drive is so fantastic do manufacturers bother with anything else? With every pro, it's safe to assume there are a whole heap of cons and the motorcycle chain drive is no different. For starters, there's the maintenance. Lubricating a roller chains has to be a regular occurrence, or they simply stop rolling, and you don't want that. Technology may have given us aerosol cans and chemical binders that make lube stick to the chain but somehow it still manages to fling off on to the side of your tire, rim, frame and even leg. Fail to maintain your chain, and you run the risk of all kinds of mechanical mayhem. A chain can break, and the flailing parts create enough force to smash a hole in the crankcase. Alternatively, it can also lock the back wheel. They can also create vibration and adverse noise. However, they are also the only one of the three drive systems that can be repaired quickly roadside. Belts and pulleys have been around since quite literally, the dawn of time. During the Industrial Revolution, belt operated machinery changed the world. Wherever you needed to transfer power from one point to another, quickly, quietly and with the least amount of fuss, you’d find a belt. 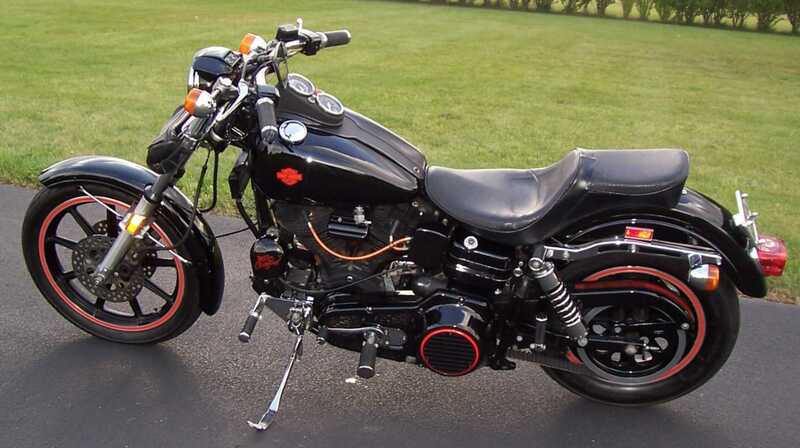 In motorcycling terms, the first belt drives arrived on the Harley FXB of 1980. The belts used were a far cry from their forebears and featured teeth that matched perfectly to corresponding pulleys. You've got to thank NASCAR engine developers for this as the extensive R and D work on toothed belts for cam-belts pushed the envelope regarding longevity and durability. Belts are also considerably lighter than their chain or shaft counterparts, which help out in the handling properties of the bike as it reduces unsprung weight. Compared to chain, they are maintenance free, quiet and cause less vibration. A good quality Kevlar reinforced belt can last well over 50K miles before replacement. In most cases, the same pulleys can be reused, unlike chain sprockets. There is a but isn’t there always? For a belt to be as strong as a chain, it has to be around twice the width. That extra width on the rear pulley can also be a limiting factor on tire width. They also soak up power too, around 10%, and don’t cope so well with debris, meaning that if a belt breaks (which admittedly is relatively rare) it’s tow truck time. Replacing the belt can also be a major hassle. On a Harley- Davidson Softail, for example, you have to remove the inner and outer primary covers, clutch, starter and the entire swinging arm! Drive shafts are clean, quiet and efficient. They are usually fully enclosed, so run in an oil bath, which aids their longevity. 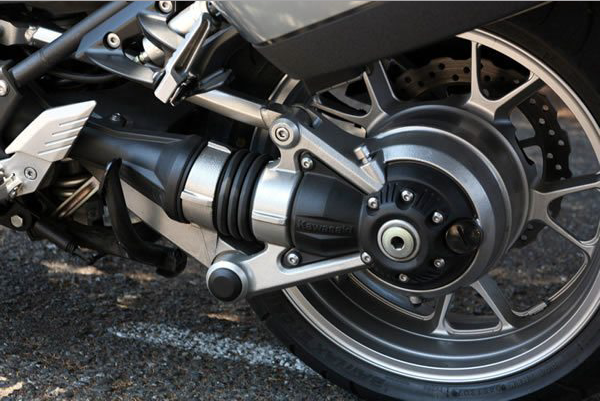 In a lot of cases, engines where the crankshaft lies along the length of the frame (parallel to the road) such as BMW, Moto Guzzi, and Honda Goldwing use shaft drive. This method is not always the case as can be seen on many Japanese four- cylinder models that use shaft drive too. Due to the number of 90-degree turns the drive has to make before it reaches the rear wheel, shaft drives eat- up around 15% of the power output from the crank. Shafties are also prone to jacking, which is a lifting of the rear end due to acceleration. 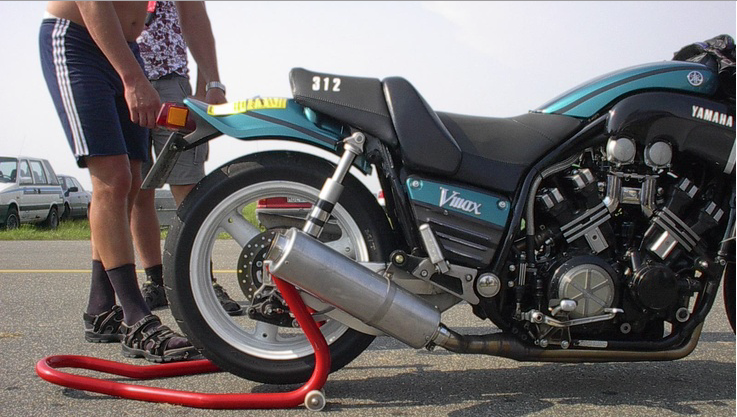 This effect can be more pronounced on older shaft drive bikes, and at one time, chain conversions were available for motorcycles like Yamaha’s XS1100 and VMax. Long travel or soft suspension, also increases the jacking movement. Interestingly, chain and belt drives suffer from the exact opposite as the rear end squats under acceleration. Newer shaft driven models from BMW and Moto Guzzi try and outfox Newton’s Third Law of Motion, by introducing single or double para levers. These attempt to limit rotation of the back hub in relation to the frame of the bike. With only the factory recommended oil changing services, BMW shaft drives have been known to run into six figure mileages without incident. Suffer a shaft related mishap though, and like the belt rider, you may as well get comfy - you aren’t going anywhere! If you need to pick a winning drive system here, it’s almost impossible. Each has its pros and cons, and each excels in different ways. Generalizing, you could say chain is for general purpose and sports bikes, belts are for cruisers and shafts for tourers. Study the motorcycles currently on the market however, and you'll find anomalies that defy this trend. Personally speaking, and having owned bikes covering all three drives, for me in the chain versus belt versus shaft debate, it has to be chain. 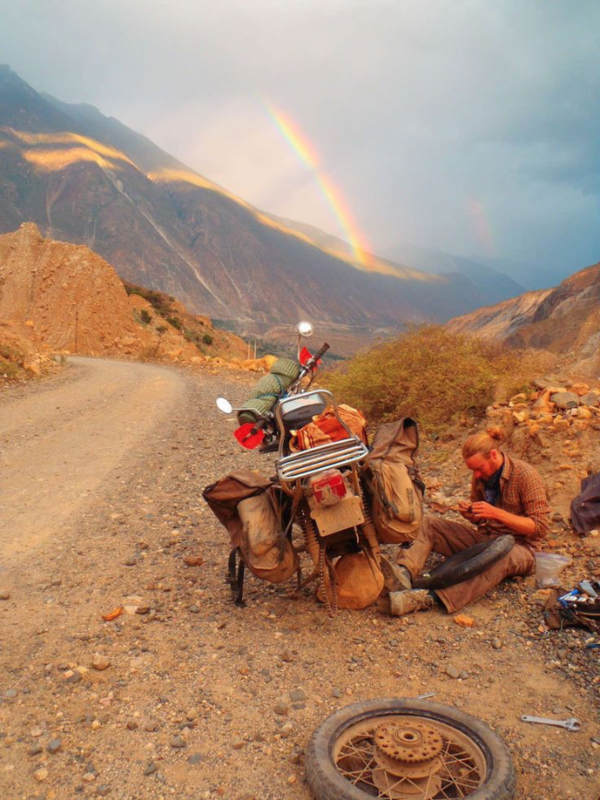 After all, a little bit of mess is a small price to pay for a roadside repair.